This magnificent homestead and complex stand tall as one of the most historic landmarks in local and European history. The property was first settled in 1842 and soon became 100,000 acres carrying 3000 cattle and 4000 sheep. The then fully self-sufficient property has a noted background of Cobb & Co, F.S. Faulkner, bushrangers and so much more, you could write a book. The current owners rescued ìMoira Stationî in 2003 and have devoted much of their time in superb restoration. Apart from the homestead, inn, events forum, other building and surrounds, and unequalled accommodation. The property sits on the edge of the Cadell Fault that runs from Mathoura almost to Moama and provides splendid forest views from all accommodation. The quality farmland is mostly cropped but does run some livestock. 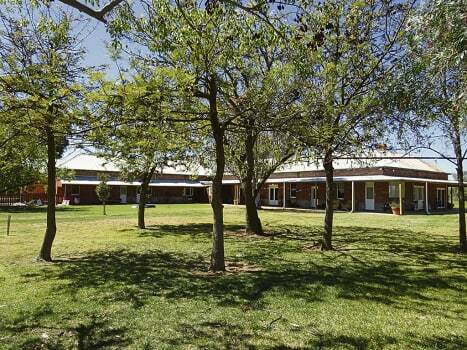 This special property has excellent access to the Murray River, Barmah and Moira Lakes just 3km away. For further information and additional photoís visit www.moirastation.com.au ìMoira Stationî Starry Nights.